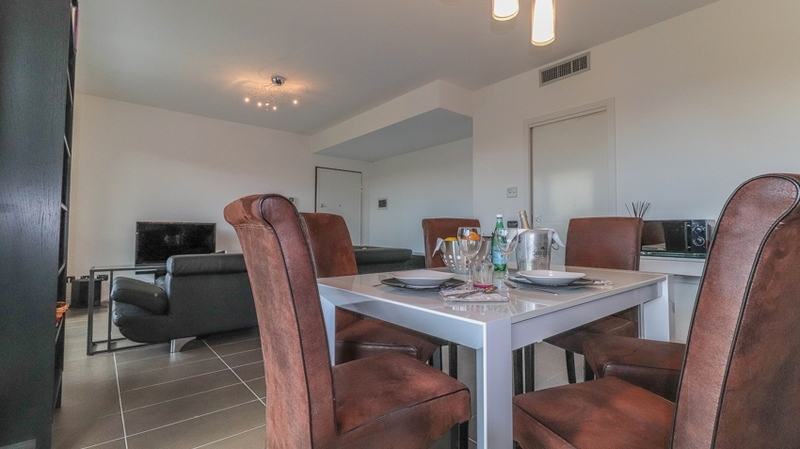 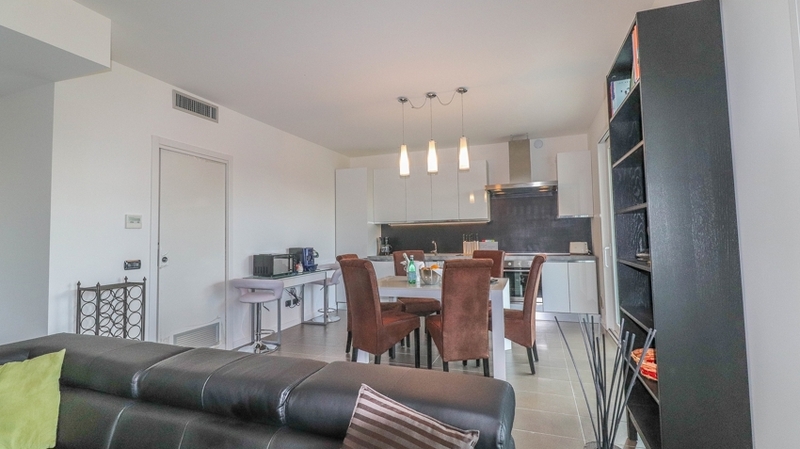 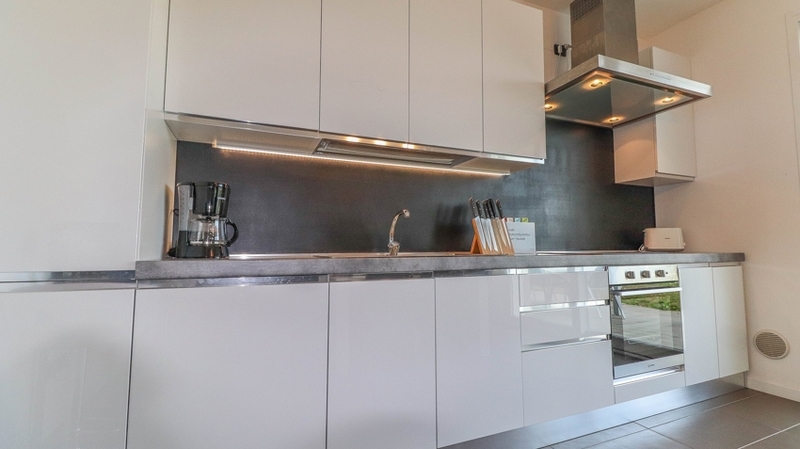 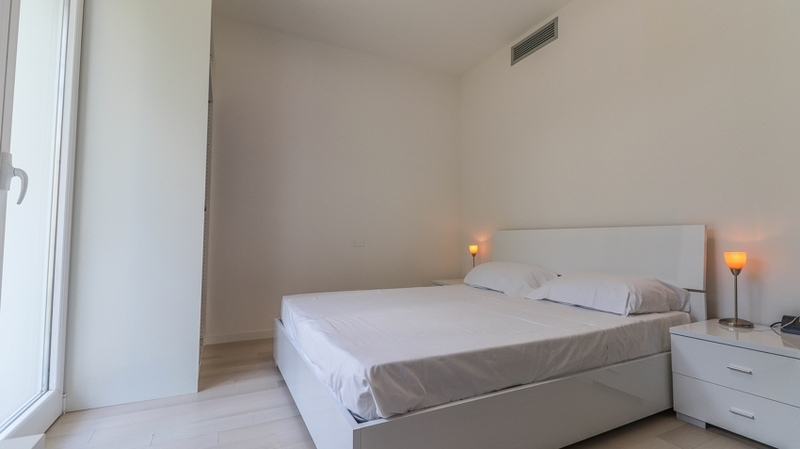 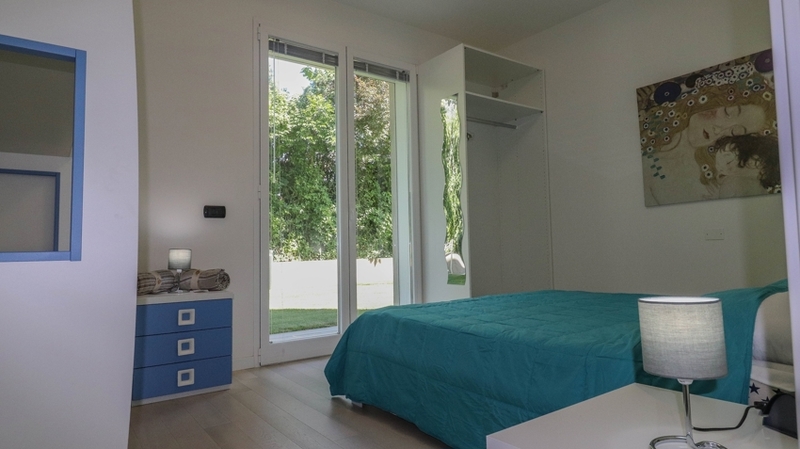 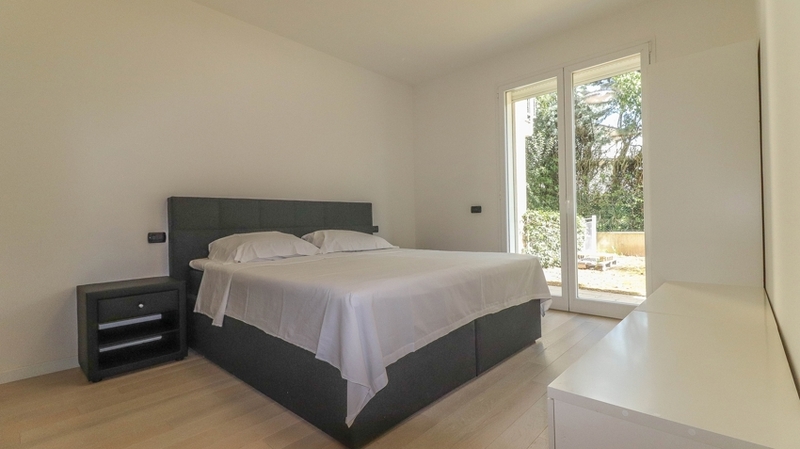 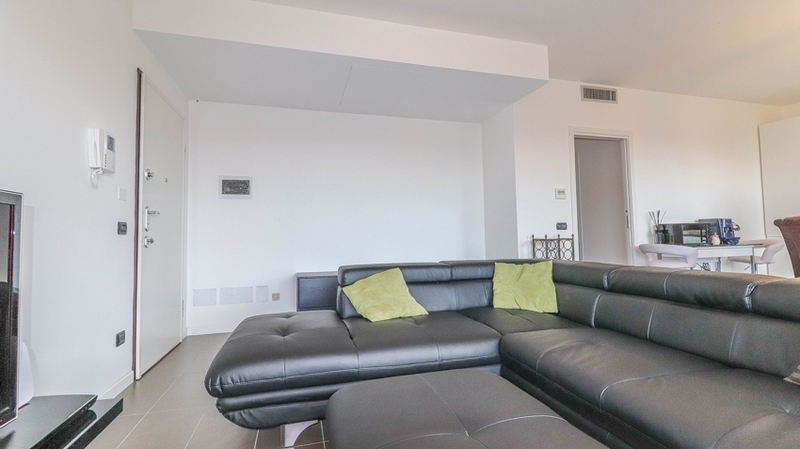 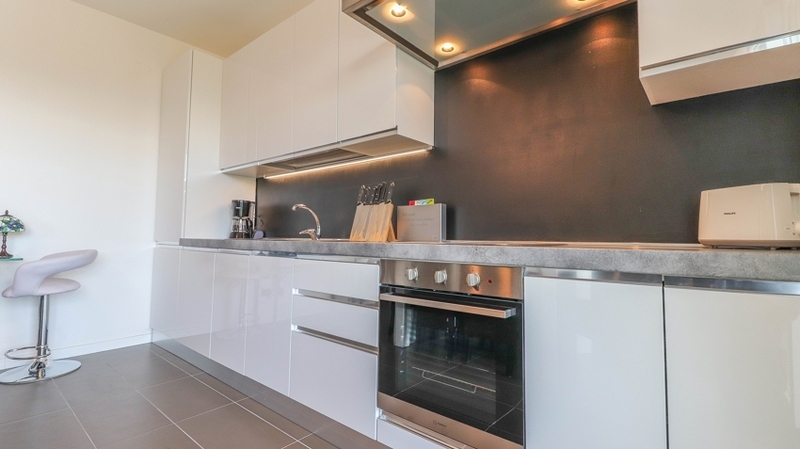 The new, luxurious apartment Holiday Garda in the new building of Residence La Castellana in Sirmione is the perfect holiday home for tranquillity lovers. 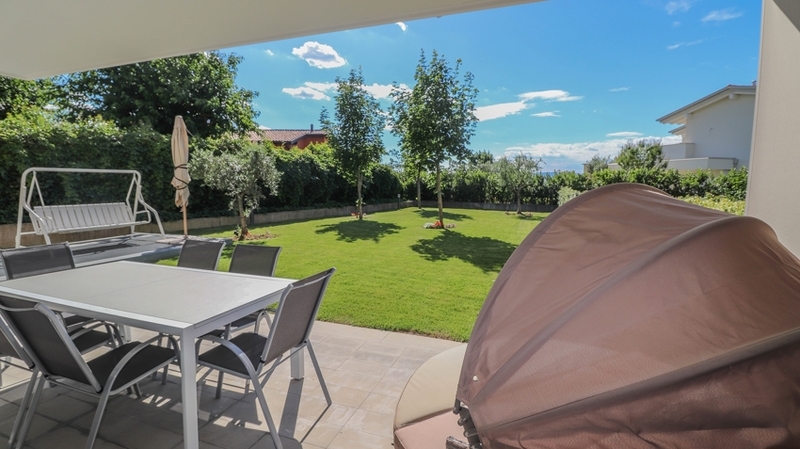 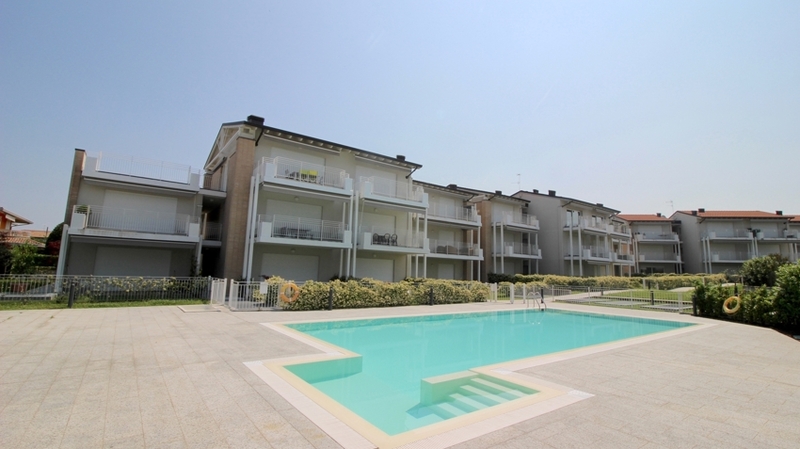 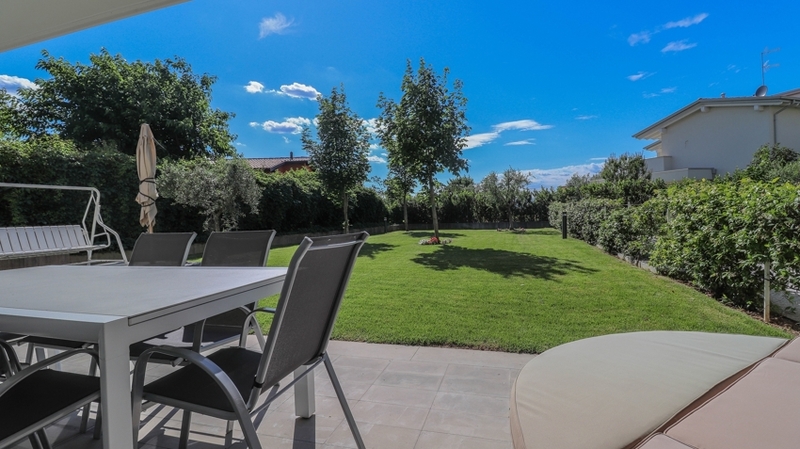 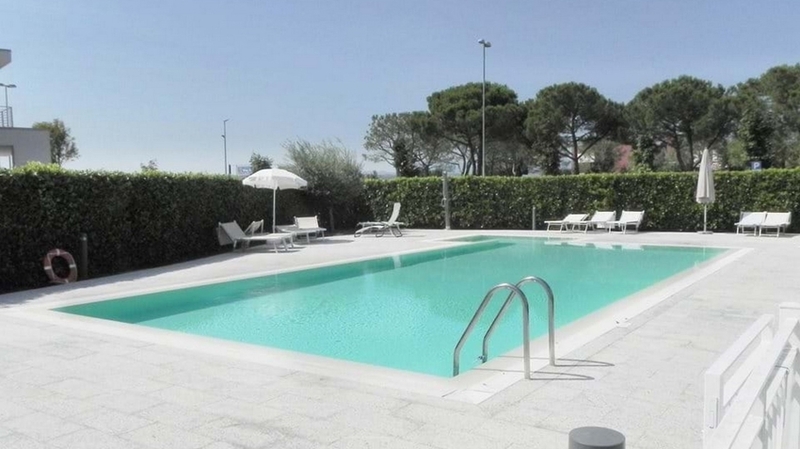 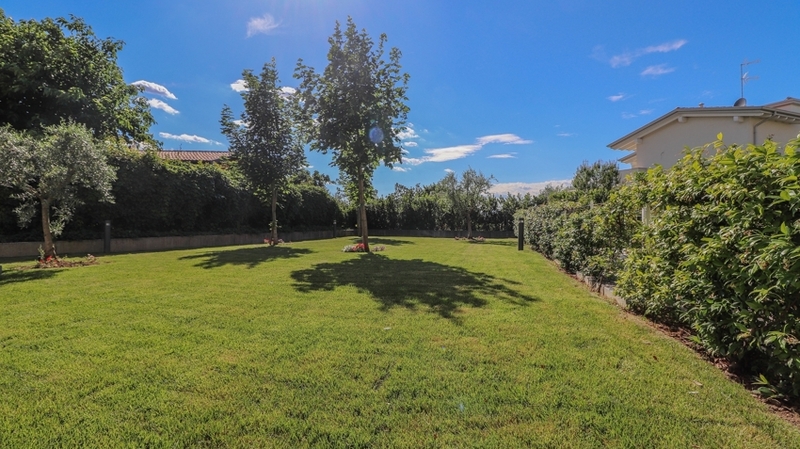 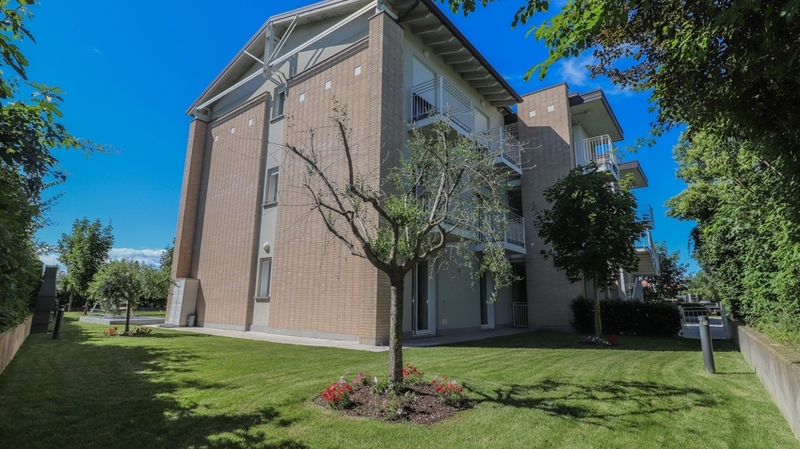 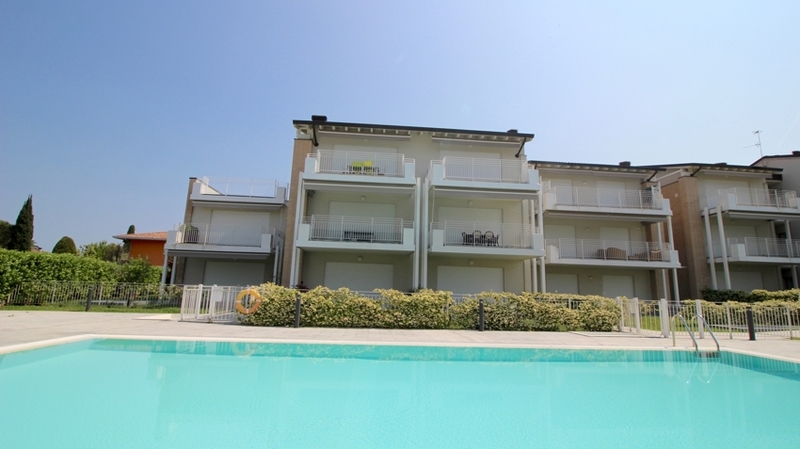 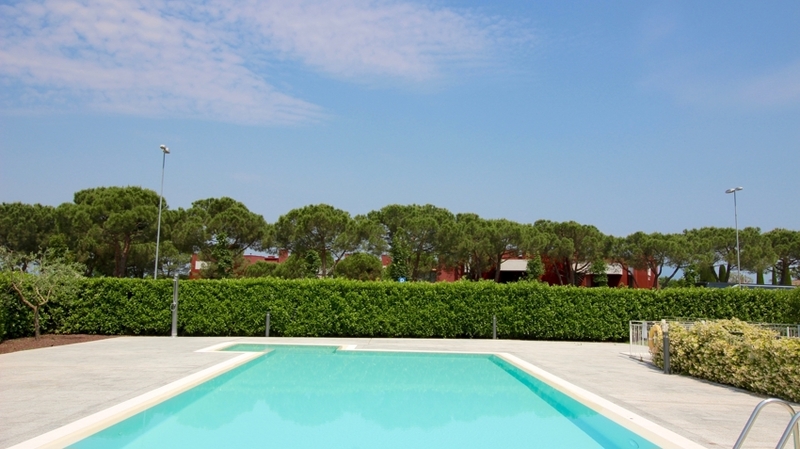 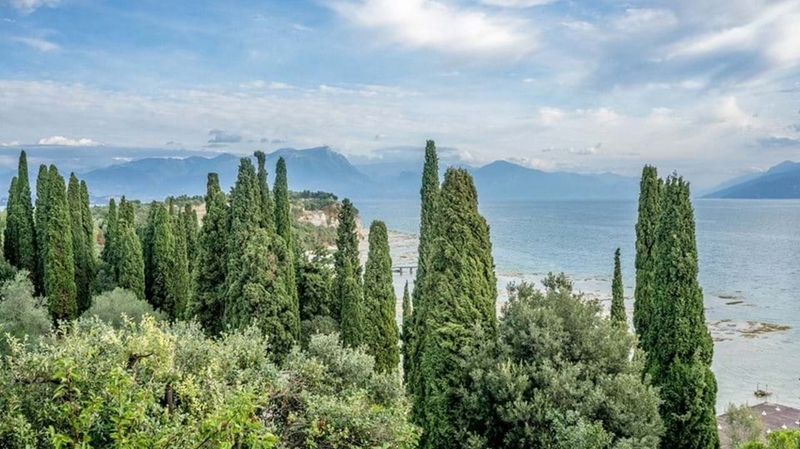 The complex is located in a central position and only 100 m from Lake Garda and Spiaggia Brema. 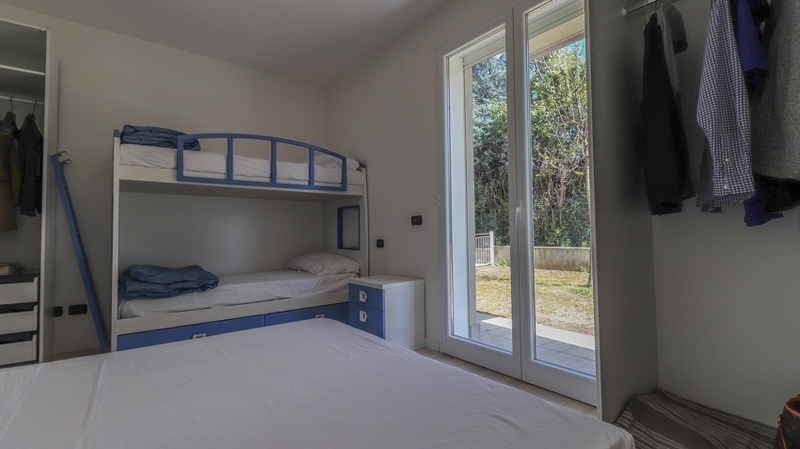 As well, the building has quiet surroundings and allows you to spend relaxing and carefree holidays with a high level of privacy. 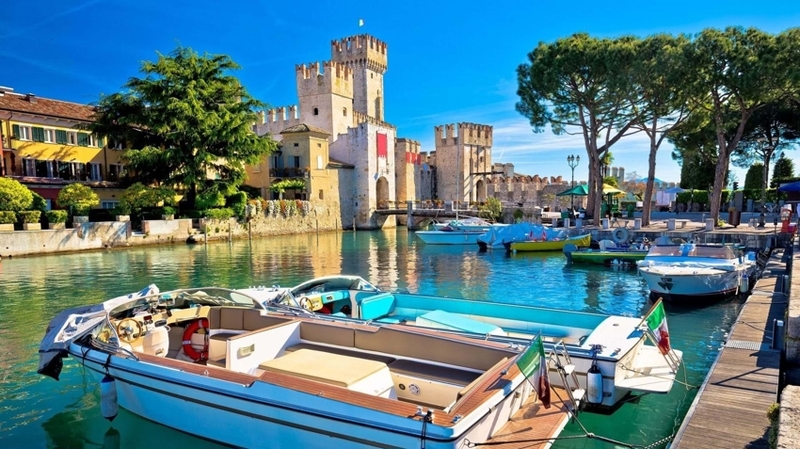 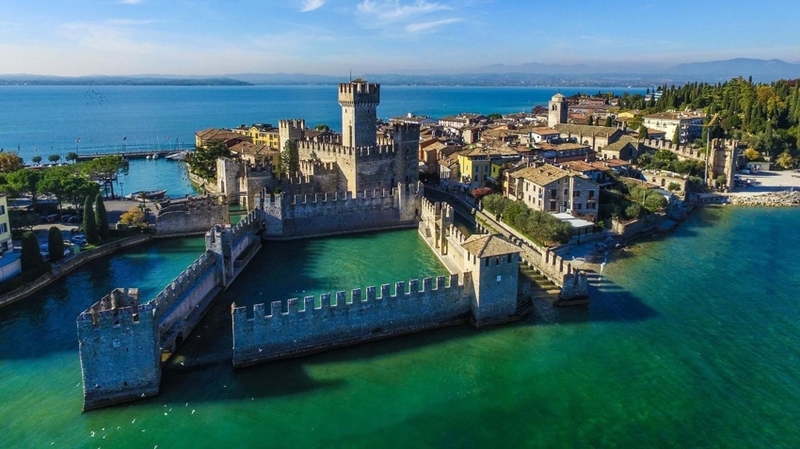 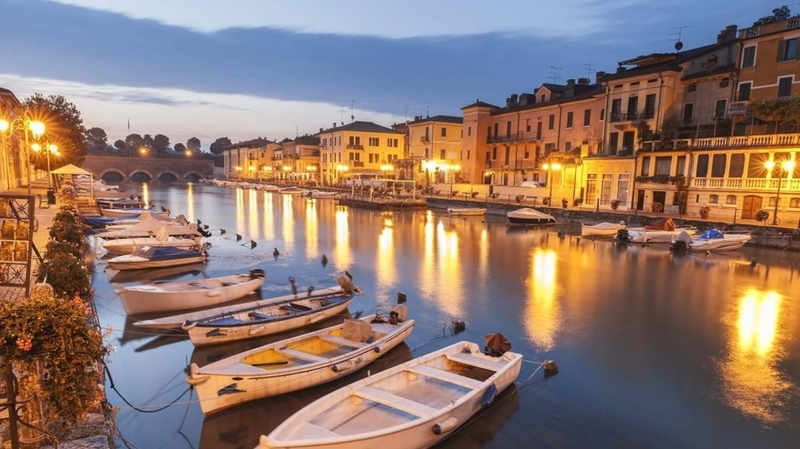 Lake Garda and Sirmione are as well ideal for practicing different types of water sports as well as for unforgettable shopping tours and gourmet moments. 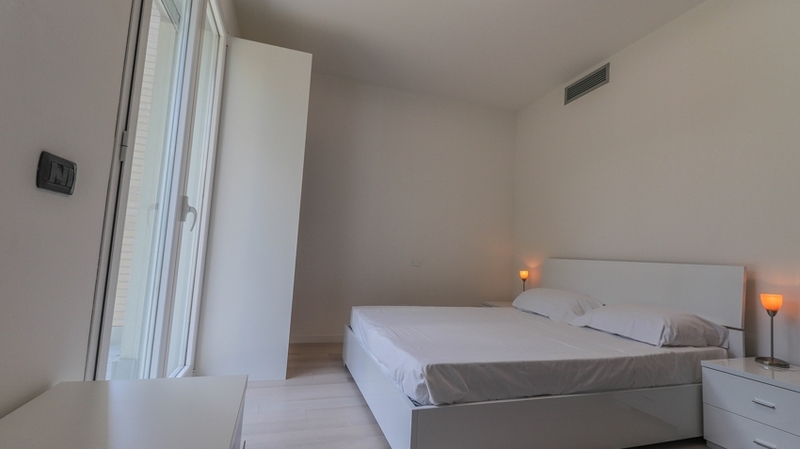 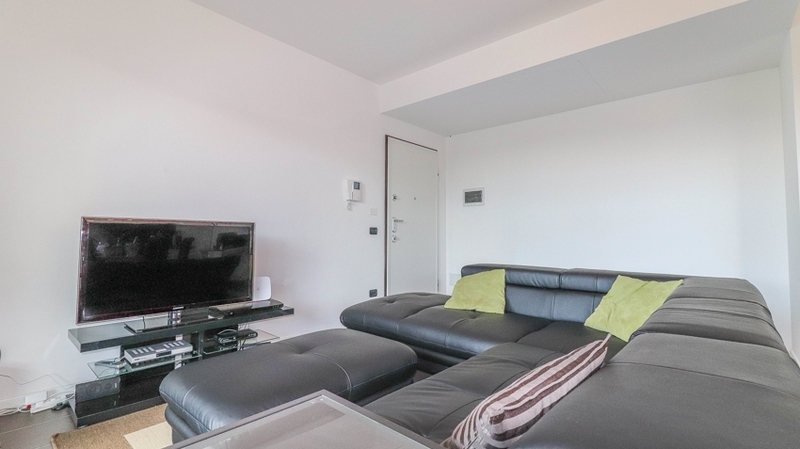 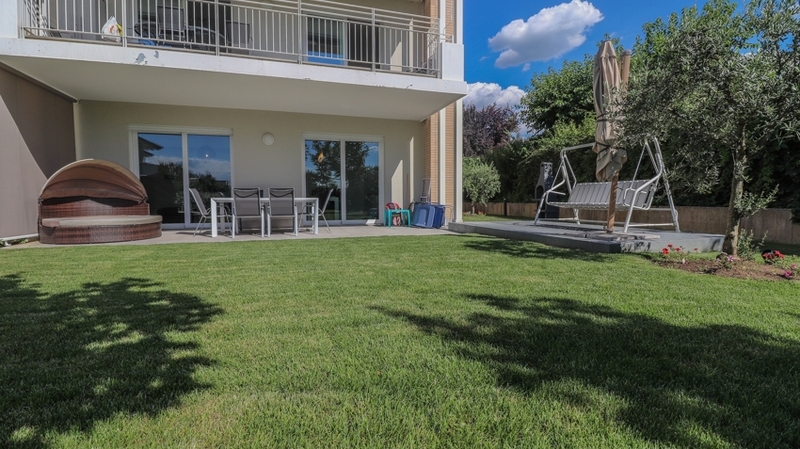 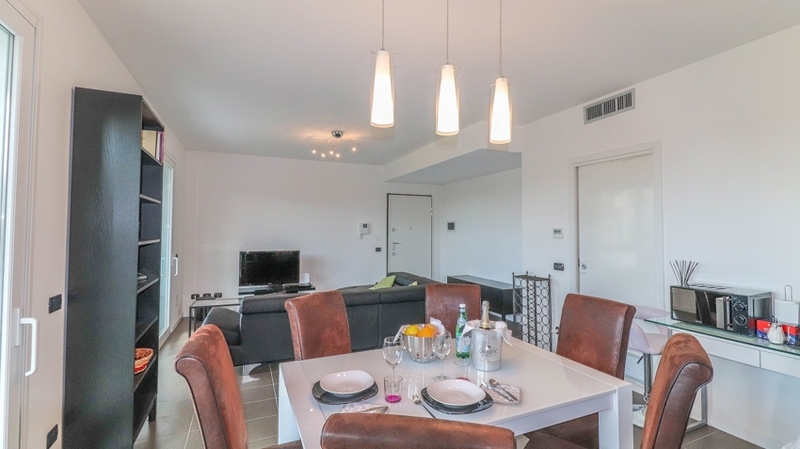 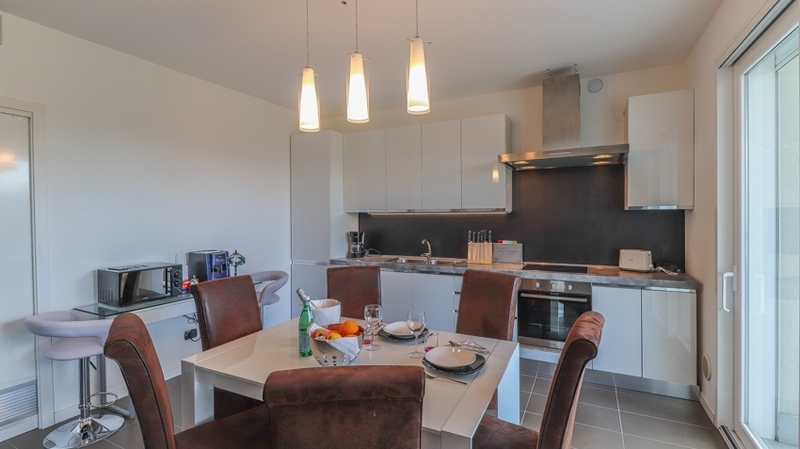 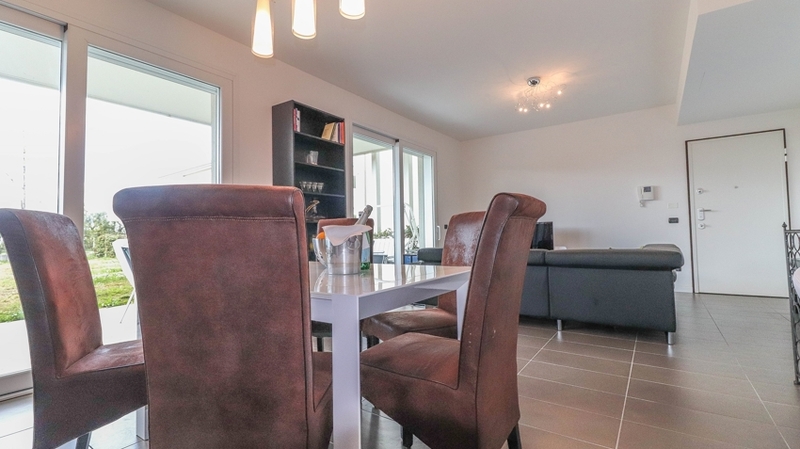 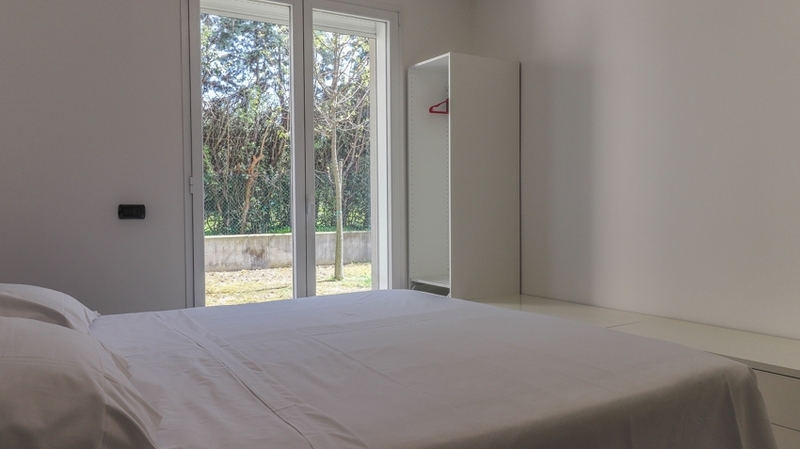 The three-room apartment for 6 persons has 120 m² and is located on the ground floor. 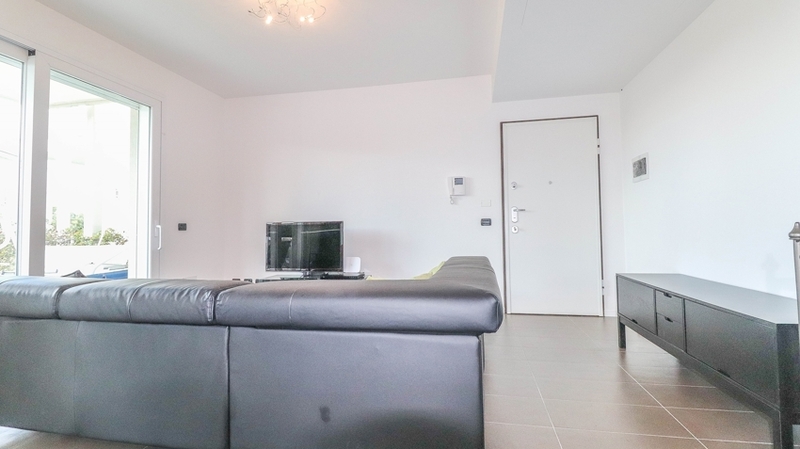 It has a spacious and light-flooded entrance area with sofa and modern video audio technology as well as free WLAN. 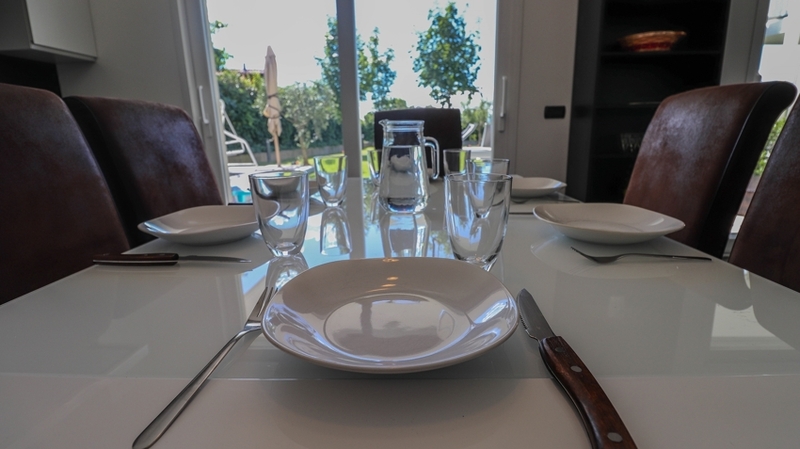 The kitchen is open and equipped with any devices and utensils as well as with an eating area with extendable table for 6-8 persons. 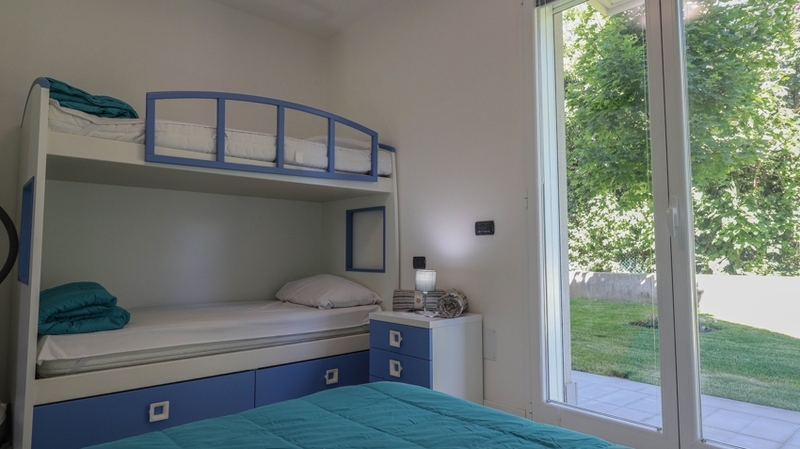 Via a passage room with shoe wardrobe, you can access both of the double rooms with a box-spring or double bed and bunk bed. 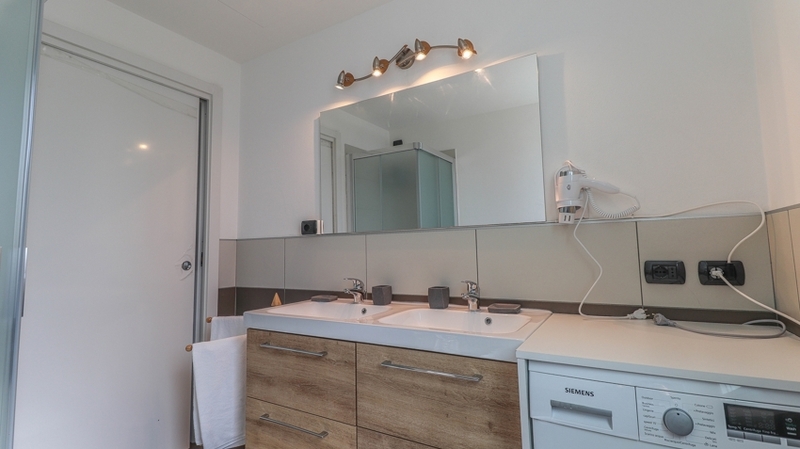 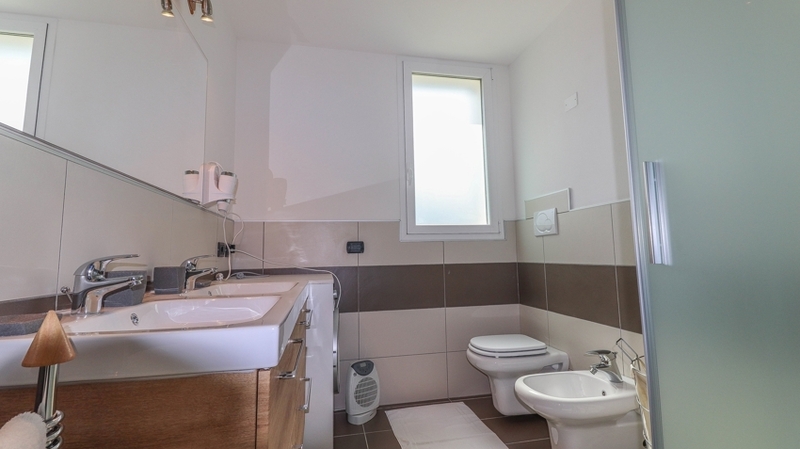 The bathroom has a window, a double washbasin, shower, WC, bidet, washing machine and hairdryer. 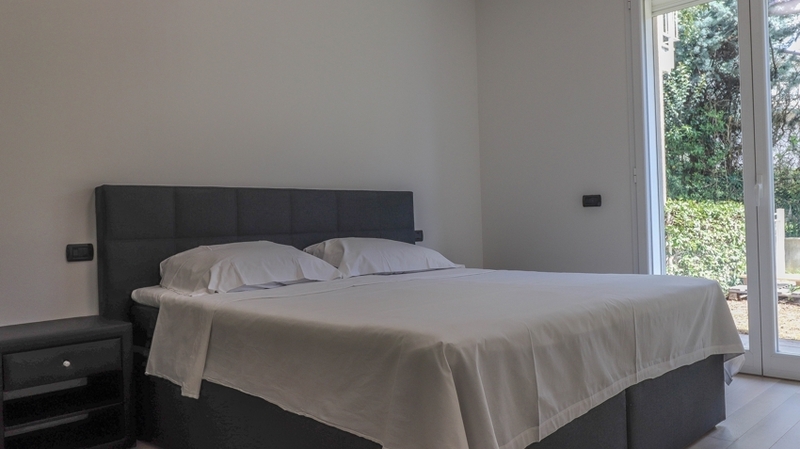 Bed linen and towels are available on request. 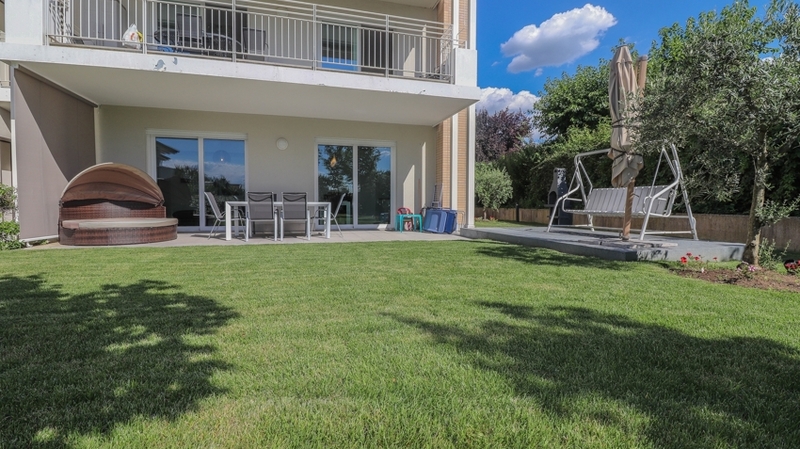 Dogs are not allowed, other small and/or not harmless animals are allowed. 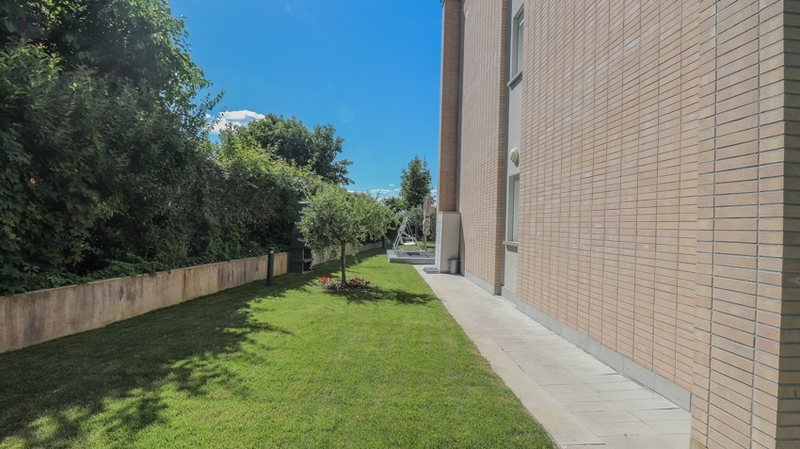 The underground parking garage is accessible via the elevator. 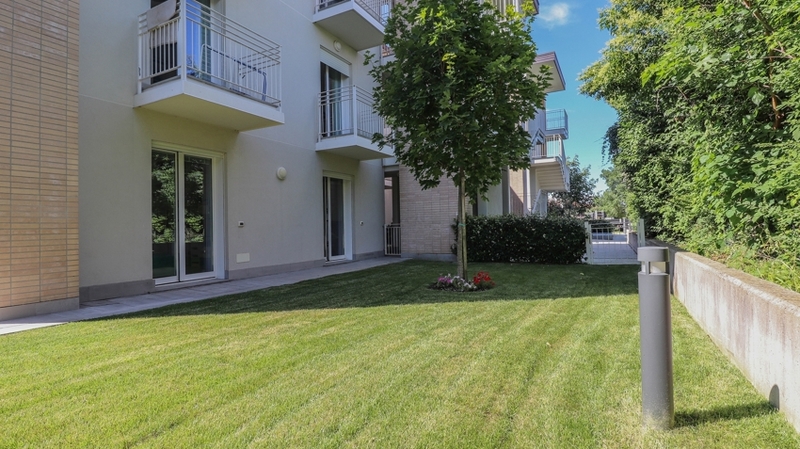 The apartment Holiday Garda is part of Residence La Castellana and is surrounded by a wonderful garden with lakeview on three sides. 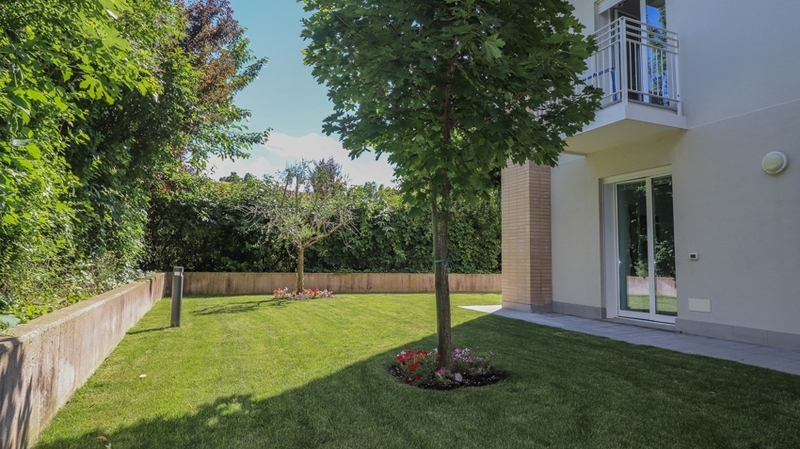 From the apartment, you can directly access the wide portico and the garden with 500 m², which is lined with olive and maple trees. 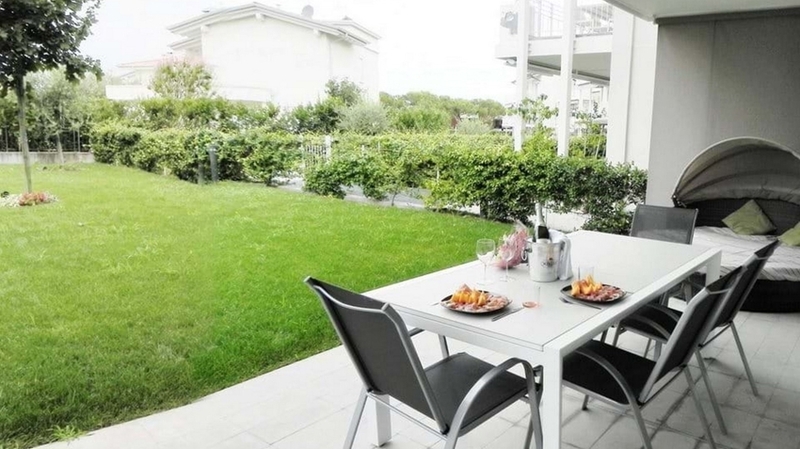 Here, you can enjoy dreamlike sunsets as well as your meals and aperitifs. 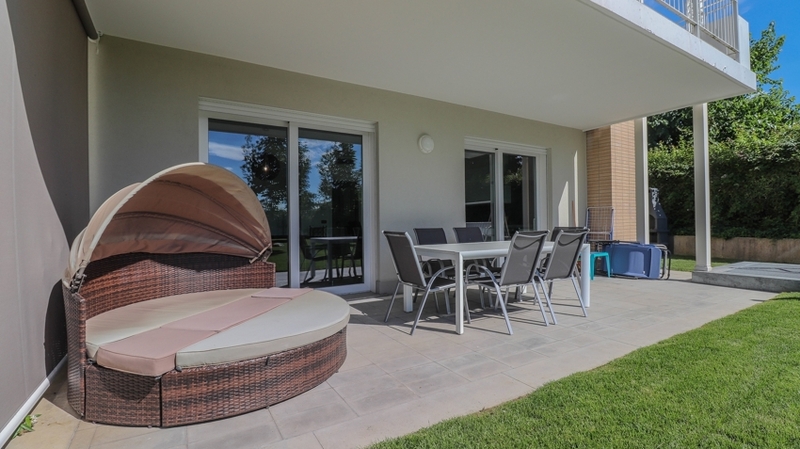 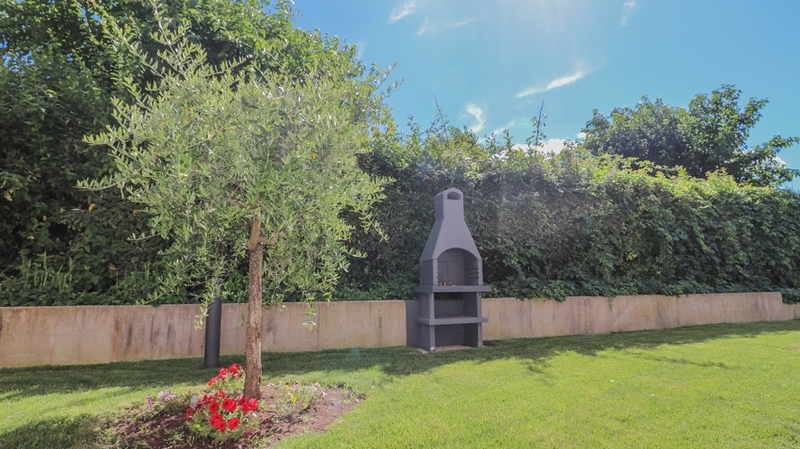 The garden also has a pool, a fully-equipped barbecue area, various sitting areas, sunbeds and much more.